Art majors must select a course other than INST 2601-2603. Music majors must select a course other than INST 2605-2607. This dyad cluster is designed to provide an opportunity for students to study the ways in which subordinated groups are subjected to and reflect various aspects of inequality on a domestic and global level. Through the lens of critical theory, the courses in this dyad will address the dimensions of racial, ethnic and gender inequalities as they exist in media representation, intercultural communicative expression, and social structures. From a variety of different perspectives, these courses will address important concepts like white privilege, identity and resistance through historical, cultural and sociological frameworks. This dyad explores the relationship between globalization and human progress over time and from a historical, political, and economic perspectives. The Dyad asks Big Questions about our contemporary global world. Why are some parts of the world rich, while other parts of the world are poor? Has globalization made most everyone better off, or has globalization impeded and harmed human development in parts of the world? How can we measure human prosperity or human development in different eras and in different parts of the world? Has the West benefitted more from globalization than other parts of the world? If so, why? How has globalization presented new questions for conceiving global and local understandings of justice and democracy? In examining these questions, the dyad explores the historical, political, and economic origins of contemporary globalization and the social, political, and economic consequences of globalization in different parts of the world. “Global Capitalism” (HIST 3200) explores the long-term swings in global integration and disintegration. It focuses on national and international political processes and the role corporations and financial interests play in shaping the extent of globalization over time. It also explores the often surprising stories of who capitalism and globalization has benefitted and harmed. “Economic Development and Growth” (ECON 4400) explores the major problems and prospects for the developing world, including environmental degradation, human migration, and population growth. How can economic theory help identify the kinds of steps that can be taken to improve human well-being and make the poorest parts of the world better off? “Globalization, Justice & Democracy” (POLS 4690) examines some of the characteristics of contemporary globalization and how they present opportunities and challenges to conceptions of democracy and justice. Together, the courses in the dyad show why globalization is a critical force in today’s world, not only directly influencing daily life in Ohio, but across the world. The dyad aims to help students understand more about why some parts of the world are rich and other parts are poor; why some countries like China, India, Korea, and Singapore have grown rapidly; and, competing ideas about the prospects of improving human development or making the lives of people everywhere better and richer. Specifically, the dyad will explore (i) the nature of globalization and how it changed over time, (ii) the meaning of development and how it is measured, and (c) the impact. This dyad will explore the eighteenth century in Europe and America as an era of revolutions-not only the more familiar American and French Revolutions but widespread upheaval and transformation in the social, political, philosophical, scientific, and literary realms. The courses in the dyad will focus on 18th-century views of the mind, knowledge, God, metaphysics, science, the middle class, liberty, sociability, empire, taste, commerce, and other topics. The world we inhabit today is a world that was, in many significant ways, made in the 18th century; an understanding of our present situation can only be enhanced by seeing it come into being 200 to 300 years ago. Prominent thinkers in this time period have their hands in a wide variety of subjects–they are philosophers and satirists, political revolutionaries and novelists, soldiers and mathematicians, courtiers and theologians–which makes the multi-disciplinary approach of this dyad the perfect way to see the multi-dimensional world of Europe and America in the 18th Century. *Nursing majors are restricted to PHIL 1300, 2400 and 2950. Select any one of the following courses unless a specific mathematics course is required for your major as noted below. 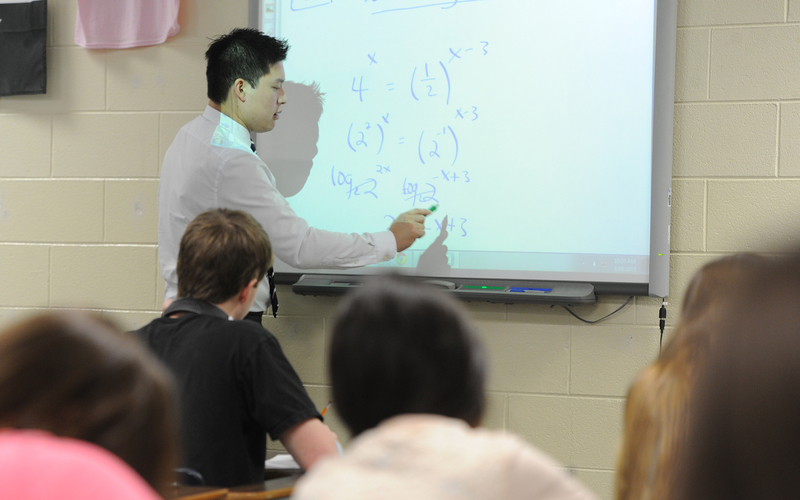 Except where indicated, these courses have a prerequisite of a C- or better in: MATH 0900 - Prerequisite to College Mathematics or qualification through Otterbein’s Mathematics Placement Exam. The Honors Program junior and senior level course requirements (HNRS 3500 and 4500). The second and third courses are housed in the major as shown below or may come from a Writing Intensive course listed among any of the other majors below, HNRS 3500 and INST 2006.